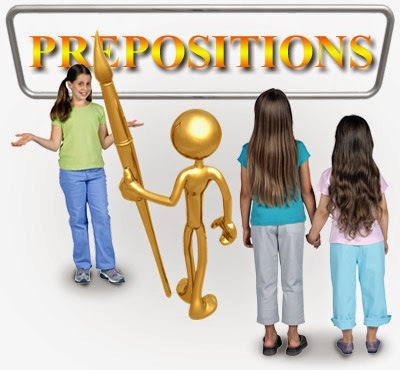 Several readers have asked me to give them some guidance on when it is proper to use the locational prepositions “in” and “on” in certain fixed expressions. They asked to know the difference between “in bed” and “on the bed,” between “in the train” and “on the train,” between “in the street” and “on the street,” between “in the bus” and “on the bus,” between "on the airplane" and "in the airplane," etc. This week’s column answers these questions. 1. “In bed” versus “on the bed.” “In bed” is the conventional expression in Standard English to indicate that one is sleeping or is about to sleep, as in, “By 8:30 p.m. all the children should be in bed.” The expression can also mean sexual activity, as in, “He is good in bed.” “On the bed,” on the other hand, merely indicates one’s location in relation to a bed. For instance, someone can sit “on the bed” or “lie on the bed,” which merely indicates the person’s position on the bed. It doesn’t convey the sense that the person is sleeping or is about to sleep. In sum, use “in bed” for sleeping and sexual activity and “on the bed” to convey the sense of being on top of the blankets of a bed— with no intention to sleep. 2. 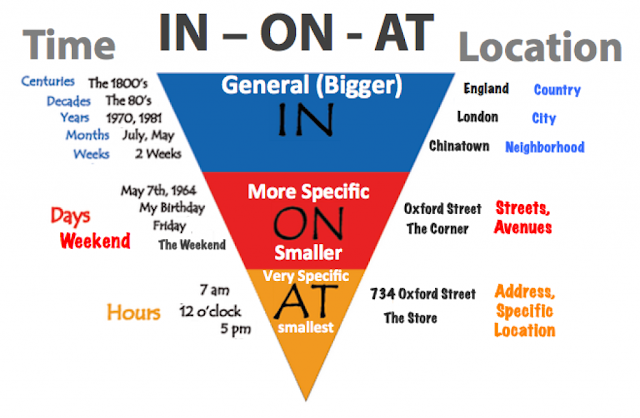 “In the street” versus “on the street.” The difference between “in the street” and “on the street” isn’t as straightforward as that between “in bed” and “on the bed.” Many native speakers interchange the expressions. But here is what the sensitive user of the language needs to know. “In the street” is an older, more established expression than “on the street” when reference is to the roads and public places of a village, town, or city in the abstract sense, as in, “I like to go for a walk in the street every weekend.” In this example, “street” isn’t specific to any identifiable public road. “On the street” tends to be appropriate for occasions when the specific location of a street is important, as in, “we live on the same street.” Here, the street is identifiable and known. However, evidence from the British National Corpus and the Corpus of Contemporary American English shows strong regional and dialectal variations in the use of these expressions. “Man in the street” enjoys more popularity and acceptance than “man on the street” in British English. I found only 5 hits for “man on the street” in the British National Corpus. Of the five hits, only one usage is idiomatic. The only other idiomatic usage puts it in quotation marks and makes it clear that it’s an American usage (“I wish a prominent member of the American print media would present an open unbiased, informative ‘Man on the street’ issue, such as you did.”) The three other uses refer to a man on a specific street. The Corpus of Contemporary American English shows a preference for “man on the street” but not by the wide margin we saw between “man in the street” and “man on the street” in the British National Corpus. It seems safe to say that “man on the street” first appeared in American English, and hasn’t quite become popular yet in British English. The Online Etymology Dictionary says the first recorded use of “man in the street” to mean the ordinary person dates back to 1831. “Man on the street,” on the hand, the Merriam-Webster Dictionary says, dates back only to 1926. It is also important to note that “on the streets” (note the plural) means being homeless (as in, “if you don’t pay your rent you will be on the streets”) or working as a prostitute (as in, “The government should devise policies to protect the girls on the streets in our cities”). 3. “On the train” versus “in the train.” When you’re traveling by means of a train, you say you’re “on the train.” That’s the fixed, conventional expression to use in all native varieties of English. Being “in the train” indicates your position in relation to the train (that is, that you’re inside it), not the fact of your traveling by it. In short, in transportational contexts “on the train” is the preferred expression. 4. “On the bus” versus “in the bus.” The usage rules here are similar to the preceding one. It should be “on the bus” when you use the expression in a transportational context. “In the bus” is never appropriate when used in relation to transport. It may be used to show position such as being inside the bus. If this column isn’t very helpful in its differentiation of “on” and “in,” it’s because English prepositions are notoriously tricky and can’t seem arbitrary. You can’t master their usage by holding on to a universal syntactic logic. You just need to learn their usage through reading good books and articles or by listening to the speech patterns of native speakers.